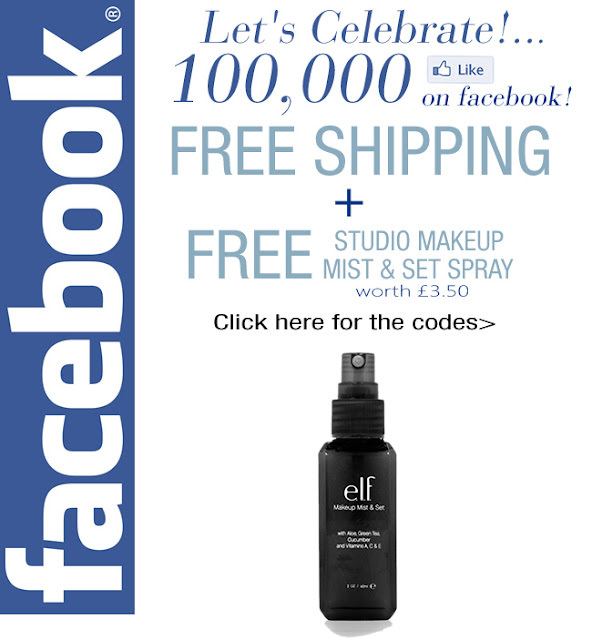 As they have reached 100,000 fans on facebook E.L.F are offering free delivery and a free Studio Make Up Mist & Set for all orders over £10. I havent made a order for a while so think i may just take them up on this offer! Offer ends 10am tomorrow, so get ordering ladies! Whats on your E.L.F 'to buy' list?